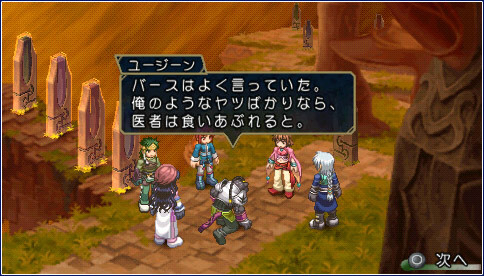 Spend enough time around Tales nerds, especially the contrarian kind who like all the games that have never been (and probably will never be) translated from Japanese, and eventually someone will tell you you should play Tales of Rebirth. 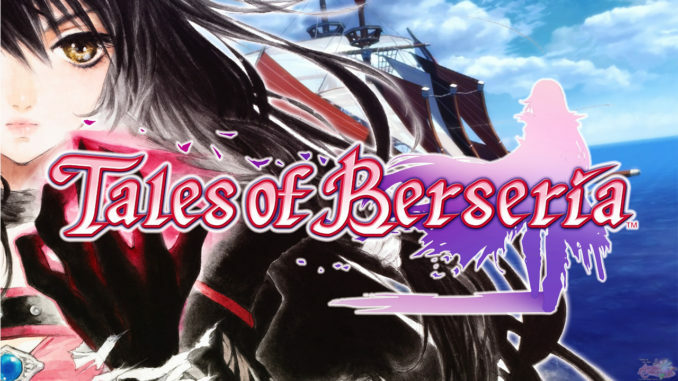 I'm a contrarian Tales nerd and I'm here to tell you exactly why you should play Tales of Rebirth: because it's weird and special and to this day stands out in the series, and for a series that used to completely reinvent itself every release, that's saying something. I'm here not to review Rebirth in its entirety, but to try to explain what makes it unique. This article includes marked spoilers for Tales of Rebirth. Highlight if you want to read at your own discretion. Let's get the hottest take out of the way first, because it's about 3D Tales. Until Tales Studio divided in two with Destiny 2 and Symphonia, Tales gameplay was simple. As a member of the vanguard, you butted heads with the enemy front line while casters and archers charged up. Occasionally you'd find yourself behind the enemy and there would be a scramble to charge the back line or beat back the front. Destiny 2 rethought and refined this basic gameplay with new mechanics for guarding, exchanging blows, and flanking. Symphonia, on the other hand, added a third dimension. Blocking enemies was no longer a thing. More importantly, neither were formations, as enemies could be anywhere and almost never on your attack line, other than the designated target. (I credit Symphonia for the series' focus on racking up combo hits on your target.) Later games would add the Free Run feature, allowing you to at least position yourself with respect to the enemies. I'm not here to criticize Symphonia, though. I'm here to claim that Tales of Rebirth, though its Z-axis is certainly narrower and more limited, used it to its full extent and in fact to the fullest extent in the series to date. Players and enemies alike can sidestep to other lanes. Attacking to the side or diagonally is commonplace for both sides, while attacking a line is still meaningful. It's easy to move enemies around the arena to set up for area attacks; Tytree specializes in grappling enemies back and forth. (Full disclosure: I never got good at playing him.) The field is wide enough to be meaningful, but small enough to be manageable. Graces and Xillia expanded characters' ability to maneuver on and deal with multiple enemies on a completely 360-degree plane, though it took Zestiria* and Berseria to make the offensive side of the equation really work. But they still focus more on comboing than on managing the field. It's the current series tradition and I don't hate it, but Rebirth strikes a balance that Tales hasn't seen anything like since**. When it comes to groups, my tastes lean towards the ensemble. 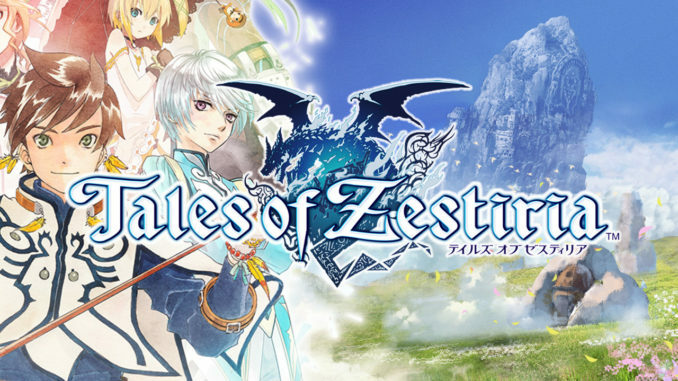 In Tales, some stories primarily revolve around the main hero or pair (Destiny 2, Zestiria) while others do a better job at juggling their arcs (Abyss, Xillia). Rebirth's entire party has a role to play in the plot, a balancing act rivaled only by Berseria†. The main character is Veigue, and to a large extent he's the driver of the plot, especially early on. But the game very rarely makes him out to be special for this fact. 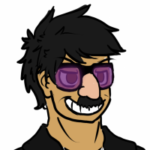 Often Eugene, a traitor to the villains and still a personal friend to some of them, drives confrontations Veigue has very little to do with. He and Annie act as supporting characters to each other in their respective arcs, and where they intersect lies a central element of the game's backstory. Mao's plot is just as central to the story, and extremely Mao. Hilda gets personal relationships with two of the game's four main antagonist leaders. Veigue's deal is that his girlfriend is special, sort of, and one of the villains eventually takes an interest in him. This is almost never made more or less than it is. When it comes time to find the game's equivalent of Spirits, the first goes to Tytree purely by his own stubborn initiative, and the final goes (again) to Eugene, in some ways closest to the conflict. Each character is put through an individual test that is played completely from their perspective, without any other characters at all (let alone Veigue himself) around to provide a neutral perspective. This sounds like a little thing, but the norm for RPGs is to have a viewpoint character, and Rebirth's cavalier perspective does a lot to make the party feel whole. The game's skits, as you'd expect of Tales, also do a great job at expressing relationships between the entire party, even in ways you wouldn't expect, whether it's Annie's makeshift family, Eugene's and Hilda's surprisingly refined interests, or the option early in the game to leave opposites Hilda and Tytree in a room together (which other characters will comment on). This even extends to gameplay. For better or for worse, you're required to customize each character's playstyle and artes individually. The game is so committed to Veigue's unspecialness that at one point, when he's gone magically berserk, it expects you to defeat him in an honest-to-goodness boss fight. Especially in a series as driven as Tales by characters and their relationships, the sense that the plot respects every character, and not just as a hanger-on in someone's epic journey, is incredibly refreshing. The other thing you'll usually get into with Tales nerds is good old Technical Points. I think TP is an artifact of an era of Tales design that it's consciously abandoned: games about control rather than aggression. In the early days, your main job was to block, interrupt, and manage limited resources. HP would tick down as surely as TP, you could only have up to 15 healing items, and food worked slowly. Playing defense was the game, not a penalty. 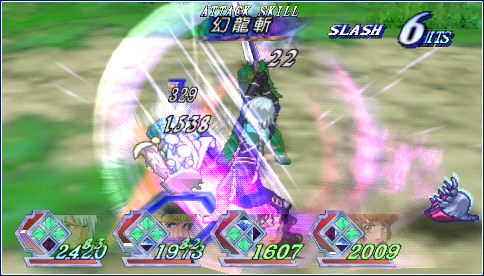 Then Tales became about comboes, and artes became part of the basic attack cycle instead of a tool. 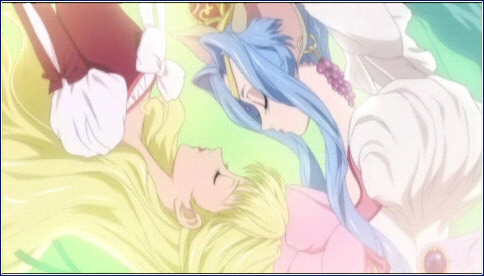 As the system advanced from Symphonia, the number of artes in just one attack sequence ballooned, growing from a few levels to an entire string in Vesperia and finally just becoming a large number in Xillia. Compounding the issue is the tendency of TP to be too oppressive in the early game and, with items and skills, irrelevant as a throttling mechanism by end game. I'm not here to argue for CC. Just the opposite. Rebirth nails oldschool gameplay without TP. Rebirth is built from the ground up around momentum. When you use an arte, your offense rises, your defense drops, and you get to spend even more artes and do advanced artes. This activates cooldowns on those slots, during which you can use those artes again, at the cost of lowered efficiency and losing your main source of healing. As a result, every activation of an arte requires you to consider how much you're willing to commit at that moment to risk opening yourself up. And if you use advanced artes, your Rush rises even faster, but the powerful artes come with longer cooldowns. Keep pushing and you enter Rush Burst, an offensive version of Overlimit where artes regenerate quickly and damage spikes, but your defense bottoms out and you can't regain HP period. But if you shift to recovery mode, the game doesn't let up. Defending reduces Rush, which slows your artes and lets you benefit from healing. But to actually get that heal, you have to connect with a basic arte you still have access to while it's not on cooldown, and some artes are better at recovery than others. And having low Rush makes your guard easier to break. Playing conservatively comes with its own balance of pacing and risk. Rebirth encourages you to balance offense and defense, every moment, throughout the game. It's a well-crafted and very fresh take on the form Tales took before the Destiny remake, and for that alone it's worth experiencing. You may know the Claire meme. Claire is not a party member. Claire is the best heroine in Tales. Tales has a habit of putting one character - usually the love interest, almost always a girl - at the center of the plot, and then having the hero drive it. 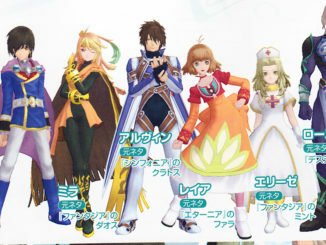 Heroines like Meredy, Estelle and Sophie have to lean on their respective protagonists. In Abyss and Hearts, the hero only finds out how he's involved later. In a way, this makes sense for a game. The viewpoint character is an ordinary youth and the one most people will play, and it's not to the game's interest to have a main character removed from the party for a while - especially when relationships are being built up on the fact that they're spending so much time journeying together (and, moreover, when the heroine is usually a primary healer). But the result is that the most important character seems to be a follower in their own story. Which is to claim that Claire not being playable in Tales of Rebirth is an asset. Though Claire is kidnapped for a good half of the game, Rebirth often cuts away from "Veigue Side" to "Claire Side," interludes where the player controls Claire and sees how she is handling her plight. These sequences are highly scripted and contain no real gameplay, but the agency afforded to Claire merely by the fact that she's technically the player character makes a difference. More to the point, Claire does accomplish things both before and after she escapes the villains' clutches, relying on Veigue for nothing but moral support. She does love Veigue and want to be with him, but she's free to accompany or leave him for her own reasons. That she is not obligated to be by Veigue's side, or indeed anyone's side, to advance her own plot is unparalleled in the series, except maybe by Milla. Later, there's also an "Agarte Side," allowing another NPC heroine to adventure behind the scenes, seeing and doing things entirely on her own. You can see it as an extension of Rebirth's ensemble party. Your team goes on a particular quest and gets away with a lot of special stuff, but there's more to the world than that. 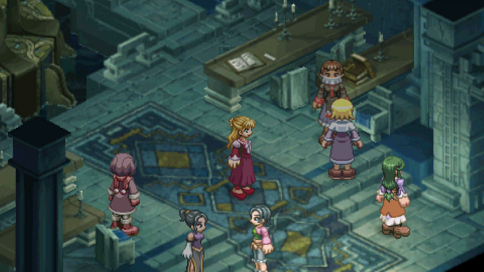 The game treats the other central players in the story as real characters, more than most RPGs, by giving you their full perspective while keeping them independent. And that's doubly refreshing when it comes to an archetype (the magical girlfriend) that's often there just to motivate the hero. I haven't even gotten into Rebirth's low-key colors and sounds, in-depth detail on how it uses the Rush system, or how its skits are different from pretty much any skits that came after. It does many unique things with plotting and presentation and has a combat system that needs to be felt to be believed, because it feels both traditional and new and just works as an interconnected whole. It's absolutely worth playing as a fan of the series, and probably as a fan of RPGs. It's a tremendous shame that it will probably never be officially translated. 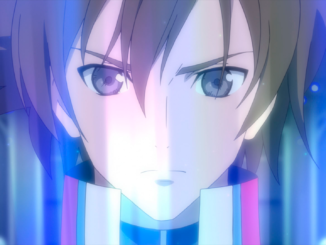 Tales of Rebirth is the sixth mothership title of the series and is another title that never received an English localization. Initially released for the PlayStation 2, the game also got ported for the PlayStation Portable. The game tells the story of a world torn between races – the Huma and the Gajuma. In between all that is the journey of Veigue to rescue his friend, Claire. Caphi is an old nerd who has loved Tales from Phantasia to Berseria, and loves sharing love! Other than that, he programs, translates, writes, and puns.